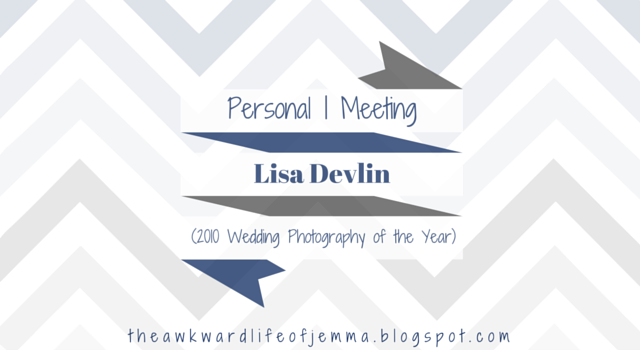 Yesterday I was lucky enough to meet with, 2010 Wedding Photographer of the Year, Lisa Devlin. Lisa has been working in the wedding industry for ten years and her weddings are regularly featured on Rock N Roll Bride. 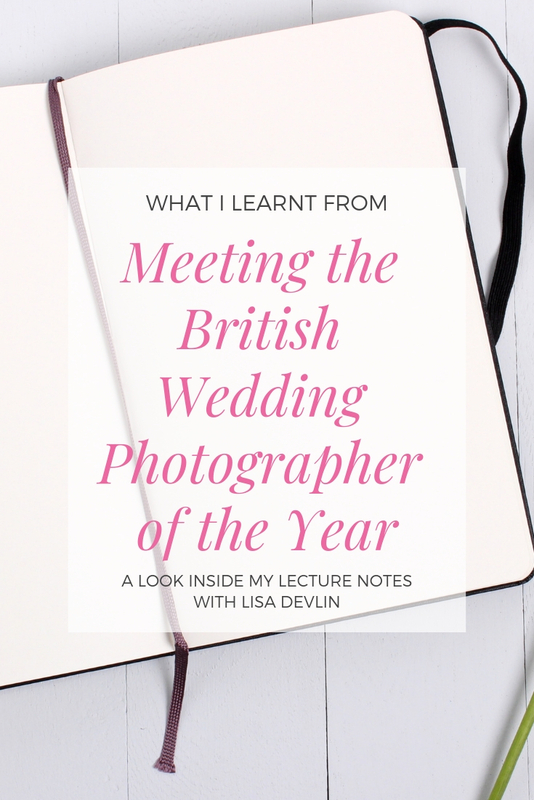 Since winning the award she also has begun teaching workshops, giving talks and writing articles for Photo Professional and we were very fortunate that Lisa travelled from Brighton to give a small group of us a business talk and insight to the wedding industry. For those just starting out, Lisa advised lots of work experience. This unfortunately means making lots of scary phone calls, letters and emails to other photographers in the hope that they spot some potential! It is also important to use initial photography jobs to help build up a portfolio. One of Lisa's best tips was to organise creative shoots that allow you not just to practice for any weddings but also to experiment and gain links with other professionals. Lisa also explained to us how important is it to have the right marketing for your business. One of her best suggestions was to identify who your ideal client would be and then target more clients like them. For example, think about where your ideal client would be looking, what blogs and websites they use, then make sure they find your business in there. Another good idea is to make sure you are promoting work that you want to be doing more of particularly if it is where you are strongest and most passionate. Lisa made the point that if your clients are seeing images of traditional weddings but you want to be photographing more alternative weddings or fashion then it might be worth changing the work your clients are seeing. I recently rebranded to create a website (and blog, twitter and facebook page) that is more true to my style. "...promote work that you want to be doing more of"
Despite winning a prestigious award and becoming one of the best known wedding photographers in the country, Lisa still shared with us a number of photographers that inspire her today. Dan O’Day, Jonas Peterson, Samm Blake, Elizabeth Messina, José Villa and Kirsty Mitchell are just some of the photographers that she named. Its refreshing for someone who is just starting out in the photographer industry to know that those at the top of their game still look to others for inspiration. She also recommended José Villa's book, Fine Art Wedding Photography, as a guide to taking beautiful photographs and working as a professional wedding photographer. Don't be afraid to put your unique obsessions and quirks into your business. The only way to find out what is on the other side of a door is to open it. Be aware of others and take influence but make sure to do your own thing! Keep your mind open to inspiration all the time. You will never know everything! I hope this post has been as much help to you as Lisa's wonderful talk was to me. If you'd like to find out more visit Lisa's website www.devlinphotos.co.uk.